Summer pests can invade your home quickly and quietly until all of a sudden you have a major problem! North Carolina summer pests can cause major problems and it’s a good idea to prime your home against them so they never have a chance to get in! There are plenty of things you can do to make sure bugs don’t have an open invitation to wander in and make themselves at home. Here are a few of our top tips for how to keep summer pests out of your home! Keep an eye on overhangs and eaves on your home, which make a cozy place for a nest. Keep bushes and trees trimmed and be sure to check for nests before you trim anything! If you see a nest, contact a professional. It can be dangerous and painful to attempt removal yourself! Keep all food sealed in containers and keep your kitchen clean. Clear out stagnant water. Divert water away from your home through downspouts and change the water in birdbaths, ponds and other water features at regular intervals. Mosquitos come out at night so avoid being outside after dusk or before dawn. Light citronella candles around your home. If you are hiking or working in tall grass, bushes or trees make sure to wear long sleeves and long pants. Check yourself and any pets for ticks after being outside. Summer is a wonderful time to be outdoors and enjoy the sunshine! Don’t let summer pests ruin your fun. Give ClearDefense a call and find out why we are one of the best North Carolina pest control companies. Keep yourself and your family safe by being vigilant about pest control so you can enjoy every second of this summer! 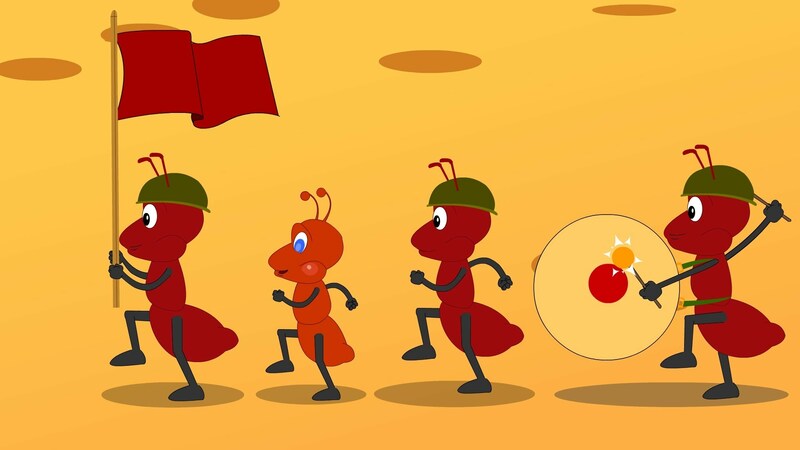 Chances are you aren’t yelling hurrah if you’ve got ants marching in throughout your home! Ants are one of the most common (and most stubborn) household pests, and they can do some serious damage if you’re not careful! These are the most common ants in the South and how you can tell if the time has come to call in an expert. Argentine Ants- These ants are mostly a problem because of the sheer number that come in a single colony. They are known for having multiple large nests, generally buried a couple inches under the soil outside. But they can also be created in walls, insulation, and bath traps. If you have an Argentine Ant problem, chances are it’s a big one! Little Black Ants- This species is a nuisance and one of the most common types to be spotted around the house. They are notorious for invading houses in search of sweets, grease, meat, and bread. The colonies run from moderate size to large, and even though the nests might be outside, they are very good at locating cracks and holes to squeeze through in order to access your pantry! Acrobat Ants- Acrobat ants are known for nesting indoors where there is moist or damaged wood… so if you have a nest, chances are good you have two problems to deal with! They will often look for abandoned nests where termites or carpenter ants have previously resided, and build their nests from there. They like sweets and will search those out in your kitchen or pantry. To top things off, if you disturb the nest, they bite and emit a nasty odor! Odorous House Ants- As you might be able to tell from the name, Odorous House Ants stink! When crushed, this species of ant emits a nasty “rotten coconut” odor, which means that if you have a bunch you’re trying to stamp out, you’re about to wind up in a very smelly situation. Colony sizes range from 100 ants to over 10,000 and if you don’t take care of the situation early on, it’s only going to get worse! If ants have invaded your home and kitchen, it’s a real drag. They’re a major nuisance not to mention smelly in some cases! Particularly if you are dealing with a nest indoors, it’s best to leave it to the professionals. You’ll get the best results and won’t have to worry about future problems! Contact us for a free quote today and discover why we’re the clear choice for pest control in North Carolina, South Carolina, and Tennessee. 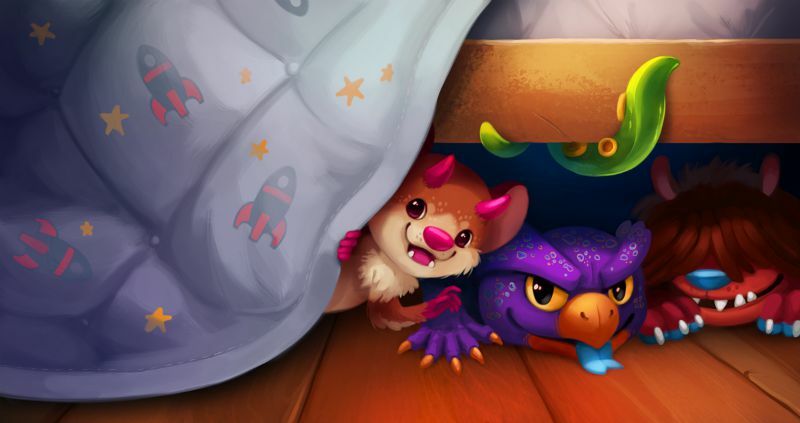 When you are little, you’re afraid of the monster under your bed, the big furry creature with blue fur, claws, and sharp pointy teeth that creeps out when the lights go out. But once you get older, your monsters turn a little smaller, a little crawlier, and a whole lot less imaginary! So here’s a guide to the top 5 most common pests you might be hearing go bump in the night! Ants- These little guys are the number one nuisance pest in the South. Whether you’re in North Carolina, South Carolina, or Tennessee, chances are, you’ve run into a colony or two, and depending on the species, a colony can be made up of 300,000 to 500,000 ants. Ants have long life spans, some can live up to seven years, so they’re critters of the nesting variety. Don’t let them choose your home as their new home base! Roaches- Cockroaches love warm, dark locations and tend to seek shelter from the outdoors- meaning your bathroom, closets, and kitchens! These nasty little buggers are tough customers and notoriously tricky to get rid of, so better to be proactive and not let them in in the first place! Spiders- Technically not an insect, these guys are arachnids, more closely related to ticks and scorpions. Either way, most people aren’t a fan of these guys shacking up in their home. Black Widows, Wolf Spiders and House Spiders are the most common spiders in the South, and they can be a nasty sight if you’re not expecting them, not to mention potentially dangerous. Rodents- These are not the kind of little feet you want pitter-pattering around you home! Mice and rats alike can absolutely wreak havoc on your home, chewing through wires, transmitting diseases, and tracking in ticks that can land on your pets. The damage they cause can be costly, so don’t open the door to that kind of a headache! If you notice a rodent problem, it’s definitely time to call in a professional. Termites- This is quite possibly the most expensive pest you can possibly have to deal with! Causing more than $5 BILLION in damage to homes across the U.S. every year, this is not the kind of pest you want to be hosting in your home. Most homeowners’ insurance doesn’t cover termite damage, so whatever mess they cause, it’s likely that it will be coming out of your pocket. All of these pests can cause major issues and if you’re having a major pest problem, it’s best to leave dealing with it to the professionals. It takes specialized equipment and knowledge to deliver full results and make sure that your home is safe from future pest issues. With the right tools and strategy, ClearDefense Pest Control can restore your home to its former glory and make sure you never have to fear what’s under your bed again! Contact us for a free quote today and discover why we’re the clear choice for pest control in North Carolina, South Carolina, and Tennessee.